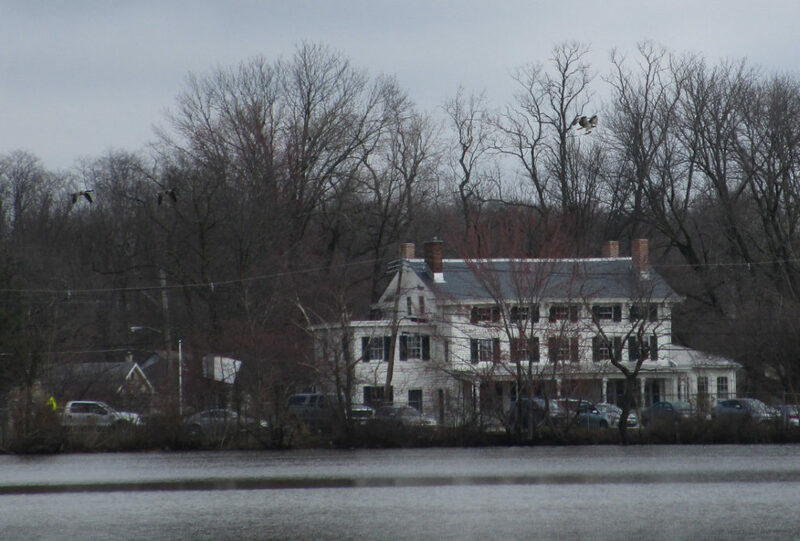 On Monday, April 8, 2019 water infrastructure was a major topic at the New Jersey Department of Environmental Protection’s hearing on the agency’s spending blueprint. 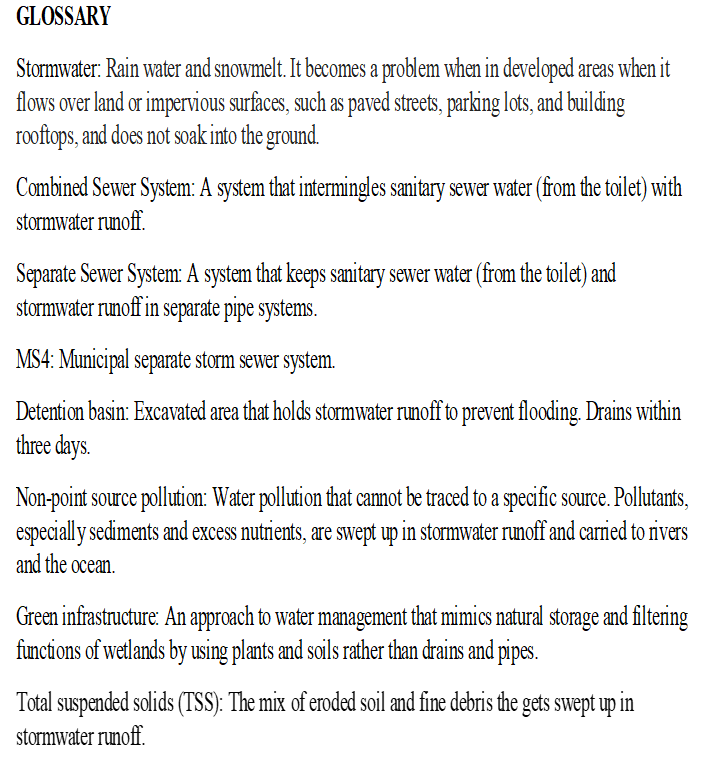 With thanks to Jersey Water Works for compiling the set of questions and answers related to water infrastructure below. Topics include Per- and polyfluoroalkyl substances (PFAS), Water Quality Accountability Act, lead in drinking water, Statewide Water Supply Plan, Natural Resource Damages, Drinking Water State Revolving Fund and Clean Water State Revolving Fund. What are the considerations in adopting the standards recommended by DWQI? 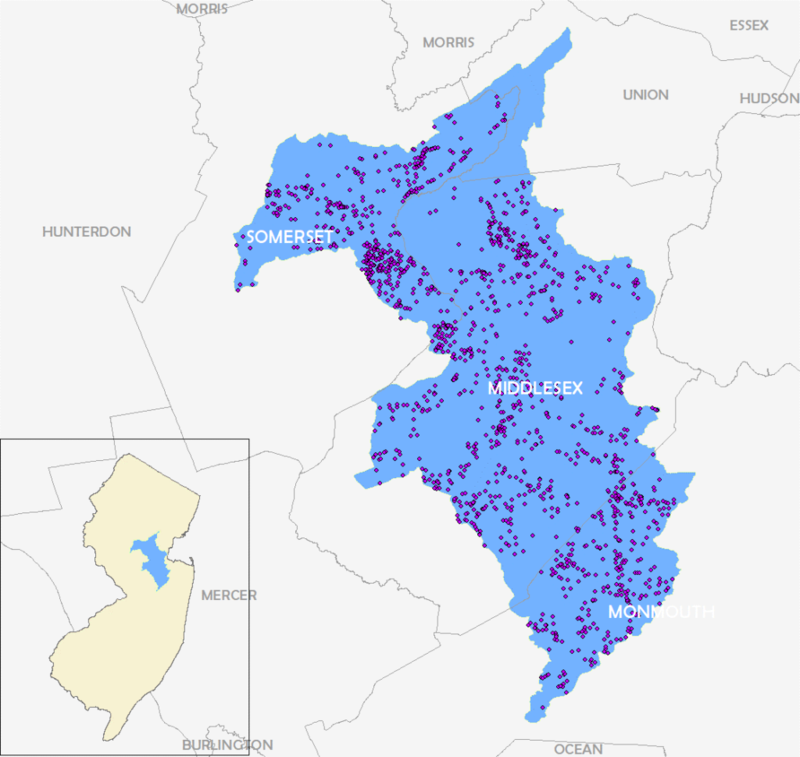 What is the plan for implementing MCLs for New Jersey public water systems? If there is not a plan, why not? What is the timeline for implementing MCLs for New Jersey public water systems? If no timeline is set, why not? The rate occurrence for New Jersey vs. the nation noted in the question refer to PFOS. The rates are even more concerning for PFOA, which were detected in nearly 11% of samples in New Jersey as part of the same sampling effort as compared to 2% nationwide. PFAS contamination is not unique to New Jersey but it does occur at a higher rate here. That’s why New Jersey continues to be at the forefront with respect to both the science and the regulation of these contaminants. Pursuant to the Safe Drinking Water Act (SDWA), the Department is authorized to promulgate MCLs after considering the recommendation of the Drinking Water Quality Institute (DWQI) if there are adverse health effects associated with a contaminant and the contaminant may be found in public water supplies in New Jersey. At the Commissioner’s direction, the Department can move forward to propose and adopt an MCL as an amendment to the NJ Safe Drinking Water rules. The adoption of an MCL includes not only the setting of a standard but also establishes which water systems will need to monitor for the contaminant and at what frequency. The rulemaking process also necessitates an evaluation of the costs incurred by water systems to test and treat for the contaminant. The Department authors an economic impact statement that may include estimates of the cost of treatment based on likely occurrence and of testing based on current prices and the number of those systems required to test. Water systems may comment, at this time, on the accuracy of the cost estimates, as well as other implementation issues, such as frequency of monitoring and the availability of waivers to reduce or discontinue monitoring. During the rule process, implementation decisions are made that include the timeline and impact of the potential rule requirements on all public water systems. This may vary depending on the specific contaminant that is being addressed, associated health effects (i.e. chronic vs. acute), occurrence, analytical capability, and similarity to other regulated contaminants. The Department considers existing Federal or State monitoring frameworks in making this determination, since these serve as the groundwork for monitoring requirements. Most frameworks set forth four quarters of initial monitoring at public water systems, as well as additional requirements based on the results of this initial monitoring. DEP finalized an MCL for Perfluorononanoic Acid (PFNA) and 1,2,3-Trichloropropane (1,2,3- TCP) on September 4, 2018. DEP proposed MCLs for Perfluorooctane Sulfonate (PFOS) and Perfluorooctanoic Acid (PFOA) and appeared in the April 1, 2019 New Jersey Register. DEP asked the DWQI to add 1,4 dioxane to their work plan, DWQI recently closed a “Call for Information” regarding 1,4-Dioxane, and members are reviewing relevant literature. A meeting where updates will be discussed is expected to be scheduled in late spring or early summer. DWQI is working to establish a schedule and priorities for the review of other contaminants of emerging concern. Does the department intend to propose rules to implement the WQAA? Yes, DEP has held two stakeholder meetings (November 27, 2017 and October 22, 2018) which were used to discuss, with stakeholders, the requirements of the Act, to discuss DEP’s concepts for the proposed WQAA rules, and to develop a strategy for its effective implementation. Discussions during the second stakeholder meeting specifically focused on how requirements of the WQAA would be codified, clarified the asset management requirements, and introduced the concept of water loss audits as a replacement for the annual unaccounted-for-water submission. DEP also discussed with the stakeholders the possibility of increasing situations in which it may request Technical, Managerial and Financial (TMF) capacity information from water systems. The DEP intends to propose WQAA regulations by the end of 2019. How does the department intend to enforce and oversee implementation of the law? With the development of a centralized portal, the Department will be able to receive all materials related to this rule in an electronic format. The data submitted will be evaluated by the Department in order to more accurately identify the status of water systems as they comply with the tenets of the rule and WQAA. Additionally, the increased amount of data that will be provided to the Department will allow more precise analysis of the status of water systems. This will follow in the spirit of the NJ Joint Legislative Task Force, which identified the need to provide technical assistance to struggling systems prior to failure, rather than after. Certification statements made by water systems will also be evaluated for accuracy, particularly if a water system is under an Enforcement action. The Department will not allow the submittal of paper documents once the portal is available. Until the rule is adopted and the portal is operational, DEP has notified all applicable systems that their Asset Management Plans must be made available for review by Compliance and Enforcement. DEP also noted that the systems will be required to certify that their Asset Management Plans have been implemented by the annual certification deadline, which is October 2019. Will the department review each water system’s asset management plan? No. Asset Management Plans are primarily meant to assist the water systems. Asset Management Plans and programs are complicated and system-specific. Partnerships with NGOs and Industry Associations and Water System Operators. The DEP does not currently have staff with the skill sets needed to conduct detailed reviews of Asset Management Plans and programs. The DEP is developing a program that relies primarily on the certification of Asset Management Plans by responsible entities, annual reporting of routine metrics and inspections. The DEP will be proposing to require the annual submission of itemized metrics to the centralized portal. The Department proposes to make these metrics publicly available through “Data Miner,” which will allow the public at large to compare the metrics from different water systems, and thereby improve accountability and transparency. Some examples include, but are not limited to: Water main breaks per mile of water main in previous year; Percentage and miles of water mains replaced in the previous year; Number of lead service lines in distribution system; Number of lead service lines replaced in the previous year; Infrastructure leakage index (a metric within the American Water Works Association (AWWA) audit which shows how well a Distribution system is managed with respect to leakage); Unaccounted real losses; Total volume loss; Data validity score (a measure within the AWWA audit which evaluates the trustworthiness of the data included in the audit); Number of violations, (e.g. M&R and MCL); Water rates (cost per 1,000 gal); Net asset value over previous five years; Net debt as a percentage of revenue; and Percentage of Vacancies. Submission of metrics will demonstrate improvements and actions taken by water systems. The Department will also require systems to self-report on the status of the implementation of the Plans thru an annual certification statement signed beginning October 2019. Does the department have sufficient staff and resources to implement the WQAA effectively? Currently, the DEP is relying on the certification required in the Act. Once the regulations are adopted, DEP will rely on the review of electronically reported metrics for review; however, additional staff may be needed to implement a water loss program. Does the department intend to propose updates to the federal LCR? If not, why not? What else is the department doing to protect the public, and children in particular, from lead in drinking water? The DEP is considering whether changes to the Lead and Copper Rules are appropriate. We are looking at how we could address issues such as Lead Service Line Replacement, Corrosion Control Treatment, Tap Sampling, Public Education and Transparency, Copper Requirements. In addition, the DEP works in partnership with the Infrastructure Bank to provide low cost financing for capital improvements to water infrastructure. The DEP Commissioner establishes funding priorities and the allocation of principal forgiveness as part of the Intended Use Plan. The recent DEP Intended Use Plan (issued final on March 22, 2019) includes the allotment of $30 million dollars to provide up to 90% principal forgiveness for lead service line replacements for eligible water systems. What else is the department doing to protect the public, and children in particular, from lead in drinking water? DEP continues to implement and enforce the federal regulations to the fullest extent possible. In January 2015, the Division began a self-assessment and determined that improvements were necessary to ensure consistent implementation of the Rule throughout the State. DEP continues to coordinate with the USEPA, the New Jersey Governor’s office, other NJ state agencies, including New Jersey Department of Health, non-profit organizations, and states around the country to better assist systems protect their customers, i.e., the public, from lead in drinking water. DEP continues to assist water systems like Newark and Trenton with funding drinking water system infrastructure projects, such as lead service line replacement, through the Drinking Water State Revolving Fund and the NJIB. Is the department taking any additional steps to educate and inform the public about the existence of lead in drinking water and the possible existence of lead service lines at their homes and businesses? If so, how? If not, why not? Yes. 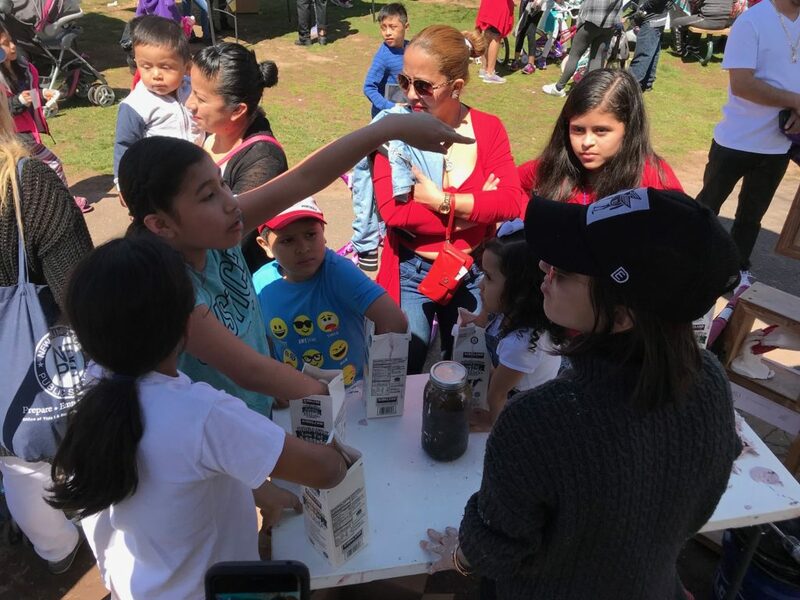 DEP is routinely working with the Environmental Justice Advisory Committee, and has participated in past public outreach events, including First Lady Tammy Murphy’s community festivals. 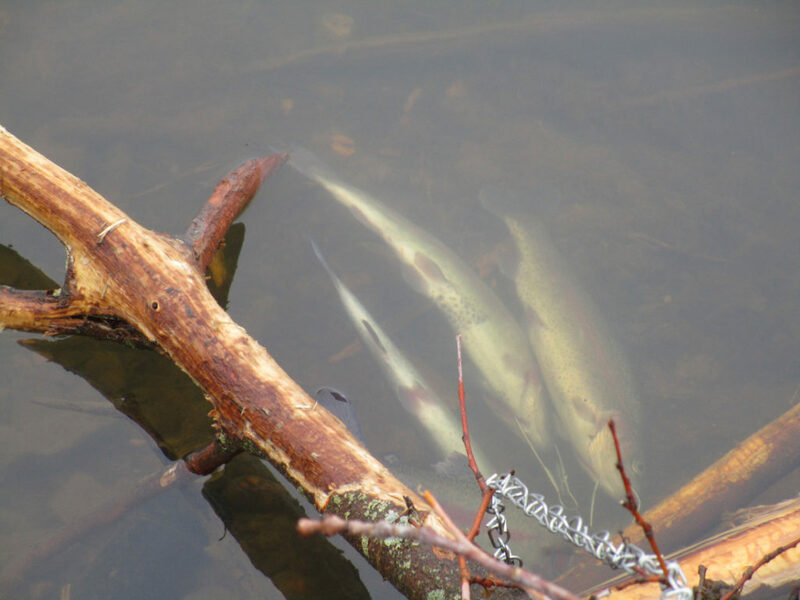 Several additional groups have recently contacted the Division to seek assistance; therefore, the DEP hopes to bring all entities together to focus on the common goal of exposure reduction by developing readily accessible resources. The DEP updated its website, focusing on different groups, including consumers, with helpful information specific to each group. The DEP provides technical assistance and review of public education/notices that are developed by water systems that go out to the public once an action level exceedance is identified to ensure that all information is clear and accurate. Regarding the presence of LSLs, the DEP and a majority of the water systems do not know the location of LSLs in the state. This is not just an issue in New Jersey, many water systems in the U.S. are facing a similar challenge. DEP has been working with water systems to make good faith efforts to identify the LSLs through regular maintenance activities, review of water system and municipal records, during water main breaks and customer inquiries, and if necessary reaching out to customers. DEP recently requested that all community water systems provide an estimate of the number of LSLs in their system. These values will be data managed internally and will be used by the DEP to make decisions on areas to focus on in the future. The Lead and Copper Rule does not require water systems to inform property-owners if they have a LSL. As mentioned above, many water systems do not have accurate records of the exact locations of LSLs in their system. In addition, many water systems in New Jersey only own the portion of the service line between the main and the curbstop; and therefore, do not have records or control over what materials are located on the property-owner side. Though not required by the LCR, some water systems, like Newark Water Department, have websites indicating the location of known lead service lines, and some water systems, like Trenton Water have information on their website on helping customers determine if they have a lead service line. Does the department intend to require water systems to complete lead service line inventories? Yes. In January 2019, the Department required all community water systems to submit initial summaries of lead service lines (LSL) inventories on a form provided by the Department. The Department is not aware of any nontransient noncommunity water systems in New Jersey having a LSL. Technically per the LCR all Community Water Systems and Non-Transient Non-community Water Systems should have completed a materials evaluation when the rule took effect, which would have included information on LSLs; however, it was not required to be submitted to the State. The Department is primarily collecting lead service line information from the water systems as part of the Lead and Copper Sampling Plan reviews. As DEP calls sampling plans in, we have also been requesting the number of LSLs to be included in the plan. If the water system is unsure, they must include a plan on steps they will take moving forward to identify LSLs in their system. In addition, in February 2019, the Department requested the total number of Lead Service Lines from the remaining community water systems that have not been required to submit their sampling plans. Approximately 80 systems still need to submit this information. However, many water systems do not have accurate information on the location and number of lead service lines in their distribution system. Many of the water systems’ records are dated and inaccurate and there is no easy method for identifying lead service lines in the field. In addition, many systems in New Jersey do not own the entire service line; therefore, if changes have been made on the homeowner side of the service line, the water system may not have been informed. The department plans to manage the LSL inventory summaries and rely on the systems to manage the actual inventories. The systems are in a better position to ensure that the inventories are accurate and updated as needed. What does the department estimate would be the cost to public water systems and to the State of such a requirement? Although it is unknown at this time exactly how many lead service lines are in existence in New Jersey, AWWA estimates the number to be approximately 350,000. Assuming an average replacement cost of $6,500/line ($3,000- 10,000 depending on location), it is estimated it would cost approximately $2.3 billion to replace all LSLs in New Jersey. This estimate does not consider those additional costs associated with identification and planning for the replacement of these lines. Does the department intend to require more water systems to conduct lead service line replacement? In accordance with the Federal LCR, systems are only required to conduct lead service line replacements after corrosion control treatment has been installed and that system receives an ALE. Currently, there are three water systems in the State that are required to replace lead service lines under the LCR; Newark, Trenton and Suez/Hackensack. However, the DEP does recommend that customers proactively replace their lead service lines. How has the NJIB spent the $30 million it has made available for lead service line replacement projects? Does the department or NJIB anticipate that any additional funding will be made available for such projects? If so, when could the additional funding be anticipated? The Department has set aside $30 million for principal forgiveness for LSL replacement projects. The LSL replacement program offers 90% principal forgiveness and 10% funding from DEP at 0% interest for communities with a median household income (MHI) less than the MHI for the county in which they are located. Project applicants are capped at $1, 5 or 10 million per water system per year per water system based on population served by the water system. The Department prioritized the replacement of lead service lines by offering up to $30 million of grant like funding (principal forgiveness) under the Environmental Infrastructure Financing Program. Under the recently finalized State Revolving Fund Intended Use Plan, which sets out the Department’s funding priorities, the Department will offer 90% principal forgiveness for a total project cost of up to $10 million dollars for a large system that meets affordability criteria. The Department has also received applications from water systems that do not exceed the lead action level but are interested in replacing lead pipes. These systems are eligible for the base program, under which funding is prioritized by project rank over readiness to proceed. Funding for LSL replacement is a priority both nationwide and for the Department. However, with only $30M available for principal forgiveness, there are still a limited number of projects that can be funded. The need throughout the State surpasses the current amount of funds available. Does the department intend to issue any updates or revisions to the Statewide Water Supply Plan? If not, why not? If not through the vehicle of the Statewide Water Supply Plan, how will the department provide guidance to policymakers, water supply providers and the public to ensure the future availability and protection of our water supply? Yes, the Department plans to provide an update to the Water Supply Plan. The Plan will use the robust data that was published in 2017 to develop several Statewide policies, with focuses on climate change (develop a climate change adaption plan), deficit areas, agriculture water use, asset management, and water supply emergency and resiliency planning. The Department is also working on updating the data that will be used to inform the 2022 Statewide Water Supply Plan. The DEP ensures the protection of available supplies. The water allocation permit review process evaluates a number of factors including: available stream flow during low flow conditions, aquifer drawdowns, potential impacts to surrounding water systems and individual wells, etc. and relies on regional water supply studies provided by US Geological Survey (USGS). In addition, the DEP uses the information contained within the Water Supply Plan to inform decisions regarding the issuance of new or increased allocations. The safe drinking water permit programs also ensure that there is adequate supply and infrastructure prior to approvals to extend drinking water service. The Statewide Water Supply Plan provides an important vehicle to estimate regional water supply demands, existing approved supplies the potential to meet those demands while protecting the new or increased sources. Please describe the process by which projects funded from this revenue source are selected and prioritized for submission to the Legislature. Is there any public participation in the project selection process? In addition to the requirements of the Constitution, is there a formal project grading or evaluation system that informs project selection and prioritization? NRD Restoration project funding is administered through DEP-lead projects and competitive granting programs (discussed in later bullet). To determine the types of DEP-lead projects to be funded using NRD recoveries, DEP’s different programs identify projects of types of projects appropriate for funding and DEP conducts stakeholdering to develop and scope project concepts. These stakeholders include federal (NOAA, USFWS, NMFS, USEPA, USCOE), and local government agencies, government working groups (NY/NJ Harbor Estuary Program, Harbor Spill Governments Committee, etc. 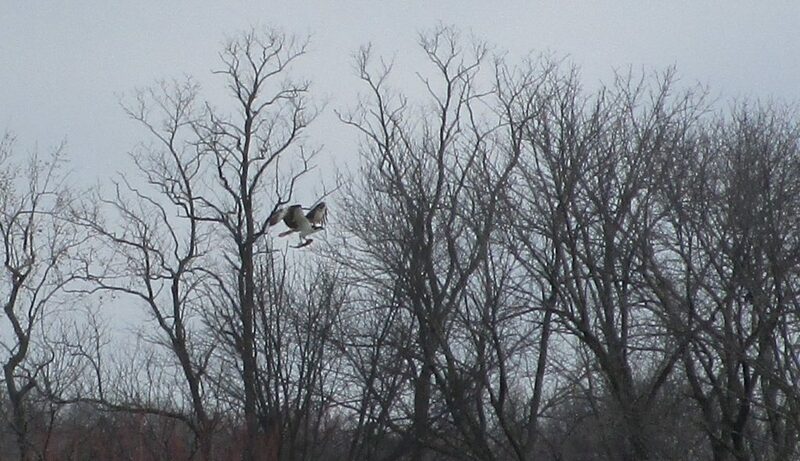 ), environmental groups (NY/NJ Baykeeper, NJ Audubon, River Keeper Network, Nature Conservancy, etc. ), and local community groups (Newark Ironbound CC, Friends of Liberty State Park, Camden SMART, etc.). Through public participation, stakeholders are not only involved in project identification, but are consulted through project development and design. Unless a project or type of project is selected through a grant solicitation, DEP does not rely on a formal grading or evaluation system in identifying projects for selection and prioritization. However, DEP does evaluate projects based on several guiding principles, including: projects should be consistent with Constitutional Amendment; projects should seek to restore the same resource that was injured; larger projects should seek to be transformative, in terms of ecological or human use; projects should be considered based on the degree of environmental uplift (ecological and/or human use benefits); projects should achieve the greatest environmental uplift while minimizing administrative processes and overhead costs; and projects should be sustainable, with minimal ongoing operation and maintenance requirements. Does the department intend to develop a grant and loan program to award natural resource damage monies to local governments and nonprofit organizations for projects? If so, how much money or what percentage of natural resource damage collections does the department intend on setting aside for such a program? What would the criteria be for eligible recipients and eligible projects for the grants and loans? How would applicants apply? How would the department choose recipients? How would the department ensure that the NRD monies were used for qualified NRD purposes by the recipients of the grants and loans? DEP has administered approximately $75 million worth of competitive grants using NRD recoveries and anticipates continuing this practice with a portion of current and future recoveries. Of the $99,371,295 in MTBE recoveries identified in the recent appropriations bill (S3110/A4578), approximately $20 million is proposed to be allocated statewide and $10 million in the Hudson-Raritan estuary for grants/loans to municipalities and public entities for water quality, water supply, and wastewater improvements. Pending evaluation of presently nominated potential restoration projects, some portion of the additional $50 million supplemental appropriation identified in S3110/A4578 will also be available for competitive grants in the Hudson-Raritan estuary drainage for habitat restoration and public access enhancement. In addition to municipalities and public entities, non-profit environmental or community groups will also be eligible for grant funding if they satisfy specific grant solicitations criteria. Eligible recipients and eligible projects will be determined by specific grant solicitations as different allocations of the recoveries will require specific types of projects in specific geographic areas. For instance, the $20 million identified in S3110/A4578 for statewide water supply and wastewater improvements, will be administered through DEP’s Clean Water State Revolving Fund program. This program may have specific requirements that differ from other programs receiving NRD recovery funding. In addition to providing funds to established granting programs, DEP may also solicit grant proposals to conduct restoration through means other than established granting programs. Applicants can apply to specific grant solicitations by submitting proposals that satisfy conditions and specifications of the solicitation. Choice of recipients will be based upon criteria identified in specific solicitations and will likely consider criteria such as project applicability, level of benefit provided, project readiness, likelihood of success and ability to cost share. All grants will likely be issued as reimbursement grants. Reimbursement will only be made available upon grantee’s compliance with a post-award grant agreement and verification that all necessary funding is available to completely construct the project. How much money does the department need each year to provide matching funds in order to receive the federal SRF capitalization grants? How much money does the department currently have for this purpose, and when does the agency anticipate that it will run out of funds? What other sources of revenue is the department using to make the State match? The Department needs to provide a 20% match for the State Revolving Fund capitalization grants, so the amount of match varies depending on the amount of the annual federal grant. The Department generally need between $3-4 million per year in Drinking Water SRF match funds and $13.5 million for the Clean Water SRF. The Department currently has approximately $29 million in DWSRF match funds available (May 2019). This will provide about 10 years in match money for the DWSRF. The CWSRF currently has an estimated $8.6 million in available match funds remaining from SFY2019, which when added to resources for SFY2020, would give the CW program approximately $25.2 million in match funds. The Department is using 1981 bond loan repayments as DWSRF match. In addition to the $29 million available, approximately $55 million is anticipated to be repaid in the future, for a total of about 21 years of match. The CWSRF has identified resources totaling approximately $67.5 million in match funds, which are projected to be exhausted in SFY2022. Should the Legislature consider a more permanent source of revenue for clean water and drinking water infrastructure projects, for instance, as it has for the Green Acres program? Does the department have any recommendations for new revenue sources to support these projects and the State’s match? Yes. For the past 32 years, the DEP and I-Bank have leveraged available State and federal funds (provided to the DEP through the State Revolving Fund Capitalization Grant Program) with publicly issued tax-exempt bonds to maximize capital improvements for water infrastructure. The totals for low interest long term loans over this period is $6.85 Billion, saving New Jersey ratepayers and estimated $2.54 billion in interest costs and principal forgiveness. This is also estimated to have translated into an over 130,000 direct construction jobs. The need for water infrastructure improvements is expected to outpace available funding in State Fiscal Year (SFY) 2019 for Drinking Water and SFY 2027 For Clean Water. While the DEP is considering several steps to try to address the shortfalls, for example by moving funding from the clean water program to the drinking water program, these are not permanent solutions. Additional State funding is needed. We look forward to working with the Legislature to find a solution. There are over 16,000 stormwater basins in all of New Jersey (https://hydro.rutgers.edu/). Locally, there are over 1500 detention basins in the Lower Raritan Watershed. Enhancing the functions of these basins represents a large-scale opportunity to restore environmental quality. Of the 16,000 basins in the state, approximately half are detention basins, meaning that they are designed to drain of stormwater within 72 hours, and remain dry most of the time. Most of these detention basins are lined with grass that is mown weekly or bi-weekly like a lawn. Some basins are lined with dense native plants that are mown only once per year instead of mown grass. Using native plants can save time and money and add badly-needed habitat for pollinators and other insects. When detention basins are lined with native plants, the thicker vegetation can also trap contaminants and prevent them from running into streams and drinking water sources. This type of approach to water management that mimics the natural water cycle is known as “green infrastructure”. Figure 2 Two types of stormwater detention basins. On the left is the traditional style of basin with grass. On the right is an example of a basin that is lined with dense vegetation to remove pollution. Replacing mown grass in detention basins with a mix of native vegetation in stormwater catch basins is a practice that is gaining momentum in New Jersey to prevent non-point source pollution from reaching streams and rivers. Non-point source pollution is the pollution picked up by rainwater from the ground that cannot be traced to any particular source. Contaminants of concern for drinking water and stream health include excess nutrients, which can choke waterways, and eroded sediments that are swept up in runoff. According to the USEPA, these non-point source pollutants are the leading cause of water quality problems today (https://www.epa.gov/nps/basic-information-about-nonpoint-source-nps-pollution). 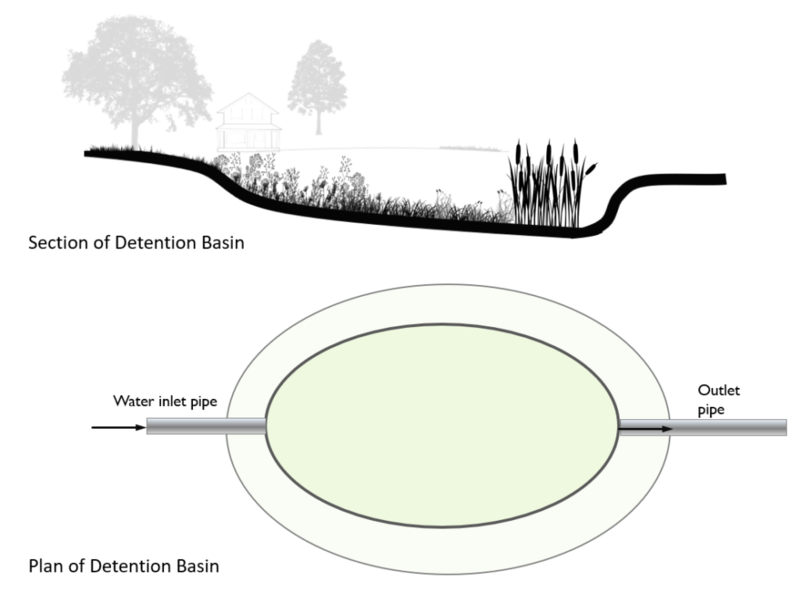 Figure 3 Diagram of a stormwater basin and vegetation. The top figure is an example of a cross-section of a basin, and the bottom figure shows the overall design. While the concept of using native plants in stormwater basins clearly has merit, we don’t yet which which plants are best suited to this application. There are plant lists out there, and we know which species live in natural wetlands; however, the plants in detention basins must survive difficult conditions including flood, drought, and polluted water. In many cases, the species that were originally planted in detention basins have died out to be replaced by species that come in as seeds from the surrounding area, so the planting lists need refinement. Research is required to determine which plants can succeed in detention basins. We also don’t know which the best filters are. In general, denser vegetation is better at filtering suspended solids, but it may be that different plants are successful at filtering different pollutants. New Jersey estimates for the removal of suspended solids in vegetated basins range from 60-90 percent based on the design. 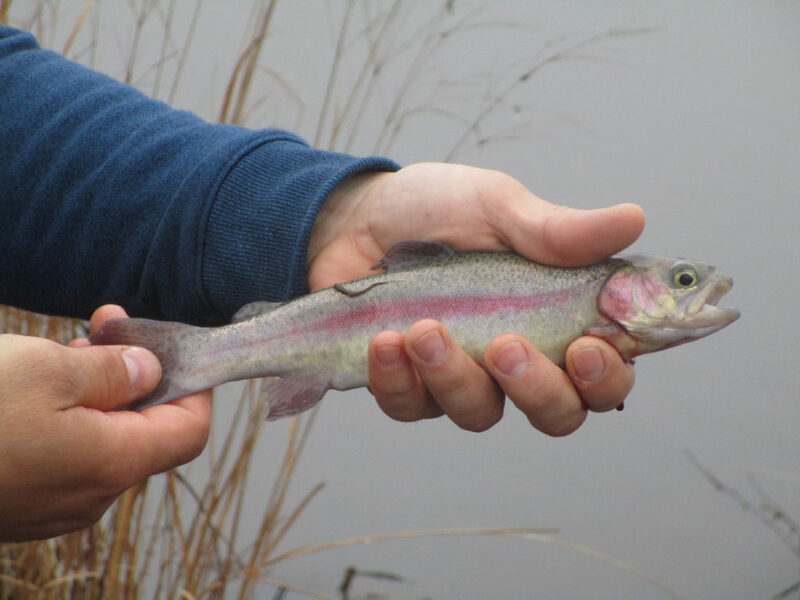 Estimates of removal rates for nutrients vary, and this process is less well understood. When designing and building basins, it is important to use plants that both survive and provide the best filtering possible. That is why two of the basic questions of my research are: 1) What are the dominant plant species in detention basins? and 2) Which species lead to the best water quality improvement? By understanding the plants communities that are living in in stormwater basins and how they are related to factors in the environment, my goal is to improve their design and thus improve water quality and the beauty of the landscape. Replacing mown grass with mixed native vegetation can have a cascade of positive effects, including providing islands of refuge for songbirds, pollinators, and wetland plant species in urban landscapes. Figure 4 Bees and a monarch butterfly enjoying flowers in vegetated stormwater basins. Basins could provide important habitat area for threatened pollinators. 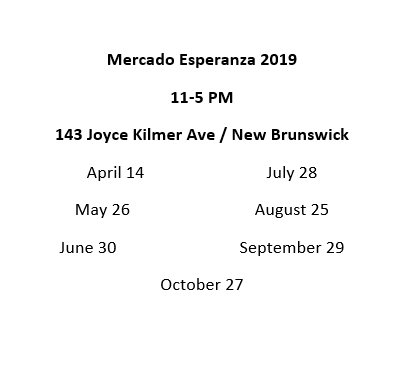 Starting Saturday April 14 and running through October, the LRWP will join Mercado Esperanza in Joyce Kilmer Park (143 Joyce Kilmer Avenue, New Brunswick) for a community market celebrating the food, arts and culture of New Brunswick and its diverse Latino community. Learn more about the Mercado in TaeHo Lee’s interview (below) with Mercado Coordinator Carolina Moratti. In the interview Carolina gives a preview of a new program for 2019 called Mercado Esperanza Kids. As part of Mercado Kids, the LRWP and our coLAB Arts partners invite you and your favorite young person to make “watershed sculptures” for inclusion in our 2019 Sculpture Project gallery installation. The Mercado runs once monthly from 11-4 PM, and will be held on April 14, May 26, June 30, July 28, August 25, September 29, October 27. Carolina Moratti and her son Abraham met me at a Café on George Street during Rutgers spring break to talk about the monthly Mercado Esperanza on Joyce Kilmer Avenue in New Brunswick. Carolina has worked with the Mercado since it started in 2016, and now serves as Coordinator. Carolina is a Peruvian born American. She moved to the US in 2005, and five years later became a citizen. She was a former student and an instructor of Elijah’s Promise. She currently works as a phlebotomist, partaking in community outreach with women and kids as a hobby. She describes herself as a hard working single mom. Abraham is Carolina’s 12-year old son and a 6th grade student of Von E. Mauger Middle School in Middlesex. Though he was born in the States, he identifies himself as a Peruvian, Central and South American. T: Tell me about New Brunswick’s Mercado. What is your role at these monthly events? C: I started by helping community women, entrepreneurs, and cooks who wanted to build a business. I would coordinate their involvement at the Mercado, helping them sell prepared foods. Later on I started to work managing the Mercado as a whole. I also created the Mercado Esperanza Kids, in which I work with young volunteers to do activities for kids. We have young kids doing temporary tattoos and face painting, and also environmental education. My current priority is emceeing the Mercado, taking care of Mercado Esperanza Kids, and doing social media and public relations. T: Does the term Mercado mean market? C: Yes! And Esperanza means hope. Mercados are everywhere in Latin America. Some places are called Marketa but we call ours Mercado Esperanza/Hope. We’re giving hope to people because sometimes they are in a difficult situation. They are homeless, they don’t believe in themselves, they are having a hard time making money, succeeding, and having their voice heard. So we gave them some representation, something that they can be proud of. It is really life-changing. T: I think it is also very important that this Mercado also allows people to celebrate their culture. C: People can feel secluded as immigrants in America when nobody sees them. But we give them some representation and help them to be seen. What I love about Mercado is that we keep in traditions. And we’re showing our kids how wonderful it is to go to a local Mercado and experience how we are trying to bring the culture of Mexico here. We’re bringing culture, we’re bringing memories, we’re bringing flavors, we’re bringing music, and all that vibe that we have when we go to another Mercado in any part of South America or Central America or Mexico. We have so many vendors with their kids selling and playing at the Mercado. It’s very good to see that the kids are also getting involved. 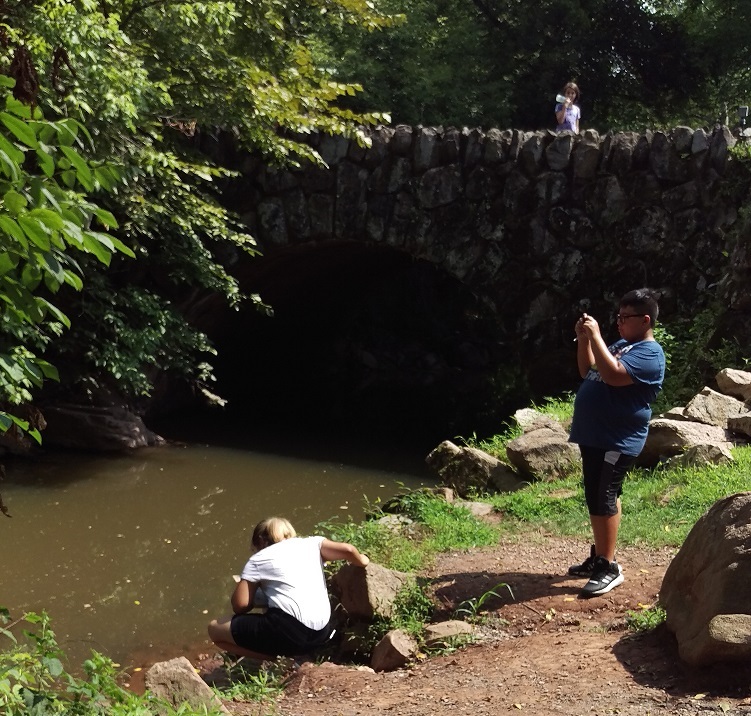 T: As part of Mercado Esperanza Kids you are working with the Lower Raritan Watershed Partnership and coLAB Arts to offer a “Watershed Sculpture Project” activity. Why is it important to you to see environmental outreach included as part of Mercado offerings? C: The more things we include at Mercado the better. If you go there for food but we are teaching you about how to keep the water clean, how to produce less garbage, how to reuse, how to recycle. If we can give you that information we are making a change because we don’t have that in our culture. A lot of countries in Central or South America don’t do that. People are very excited to see environmental education. It’s a lot of information that is not easy to get to. So if we provide that with Mercado it’s amazing. Because I know it’s going to make a change. T: Last summer you participated in a weeklong “Watershed Institute” with coLAB and the Lower Raritan Watershed Partnership. What were some of the things you learned that week? Abraham: I learned about water quality monitoring, and how it’s important to protect the environment. And I learned that we can protect the environment by making sure we recycle things. We can also clean up after ourselves and after others who have forgotten to do so. We could maybe even make a fundraiser for an environmental cause. T: Do you have anything to say to adults who mainly created the environmental issues that you and I have to inherit for our lifetime and for the following generations? A: They should have been more careful. They should have been more thoughtful. They should have cleaned up their mess after themselves. They should have been more aware of what they were doing. The LRWP is often asked to identify top environmental issues facing our Central New Jersey watershed communities, and every year we develop a “Top 10” list of concerns. Through 2019 we feature one concern a month on our website and explore that issue (and potential solutions) in more detail. In our March essay we bring attention to the state’s failure to act on a mandate to rank contaminated sites. We also consider how New Jersey’s “Home Rule” decision making perpetuates inequitable restoration in our communities. We suggest watershed planning as a more equitable approach to land use decision-making. Many poor, brown, and black communities throughout New Jersey are saddled with disproportionate legacy contaminant issues in their water and soil. They face greater flood risk and have fewer opportunities for buyouts from flood risks, and have less access to nature, parks, and outdoor space compared to wealthier communities. With respect to legacy contaminants, even when laws are on the books to clean-up our waters, soils, and sediments, time and again the poorest communities are overlooked, with priority given to wealthier watersheds. In 2009, New Jersey adopted legislation mandating that the state Department of Environmental Protection rank every contaminated site in order of risk and urgency. This “Remedial Priority System” was to serve as a corrective to market-driven remediation that prioritizes clean-up of the most economically desirable contaminated sites. 10 years later however the agency still has not published this list. NJDEP’s failure to act on this mandate perpetuates environmental injustices and is in violation of the law. We must hold our state agencies accountable for their failure to advance equitable outcomes. We also must consider how land use decision-making at the municipal level perpetuates environmental inequities at a broader scale. In New Jersey, decisions about how land in a particular municipality is protected, developed, or restored are made by the municipality’s planning board and zoning board. The decision makers that sit on these local boards weigh needs for community and environmental health against the often competing goals of increasing the tax base and expanding or providing new services for municipal residents and visitors. These boards determine how to protect a town (or certain sections of a town) against siting of undesirable uses like power plants, sewage treatment facilities, landfills and incinerators. And they are often charged with making decisions about how to protect against flooding or other natural disasters. There are few tools for planning and zoning boards to use to ensure that their decisions don’t propagate local inequities. Furthermore, because of New Jersey’s “Home Rule” bias in land use decision-making, municipalities are not required to take into consideration the impact on regional growth patterns, existing or planned land uses in adjacent municipalities, or watershed and larger ecological systems impacts. Examples of undesired regional impacts of local land use decisions include flood control decisions that displace flood waters to neighboring municipalities, and fragmentation of habitat that compromises regional environmental health. Local impacts are felt in low income communities that are not only not prioritized for environmental clean-ups, but continue to be identified for siting of locally undesirable land uses (LULUs). Recognizing this, in January the New Jersey Senate Environment and Energy Committee advanced Senate Bill 1700, which concerns environmental permitting in burdened communities. The “Environmental Justice” Bill is specific to the siting of polluting facilities (power plants, sewage treatment plants, landfills and similar), and would give individuals in our poorest communities the right to petition NJ Department of Environmental Protection for additional environmental and health impacts assessments and a public hearing on permitting processes. Is this this the best approach we have to righting these wrongs? While any one of us should be able to bring attention to inequities in land use decision making, should the responsibility of designating a community as “burdened” fall on individuals or even on individual communities? Perhaps other land management approaches, like regional or watershed based planning, can better serve as bulwark against provincial Home Rule interests. These approaches might also balance land uses consistent with human health, environmental, equity, and other goals. Watershed planning demands integrated thinking and coordination. And watershed management of large ecosystems is inherently science-driven. Climate change has brought attention to the need for science-based land management. Watershed land management is a science-based approach, and watersheds play an increasingly important role in establishing a context for federal, state, and local policy. As such there is increased opportunity for watershed-level planning to guide land use decision-making in the state. Core objectives in watershed management are directly related to water (flood control, water quality and quantity, etc.). Other important objectives include maintenance of biological diversity, wildlife management, urban metabolism, restoration, general environmental preservation, recreation, economic development, and Environmental Equity. We welcome your thoughts on how watershed-level planning (or other approaches) might be deployed to prioritize action for restoration, advance Environmental Equity, and improve the integration of science with land use decision-making.